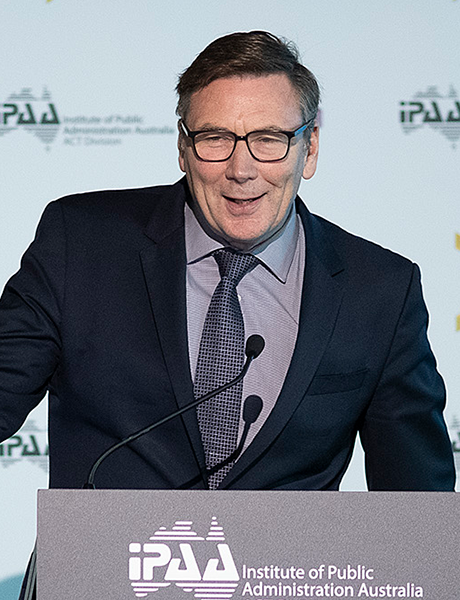 On Tuesday 19 March 2019, IPAA welcomed David Thodey AO, Chair of the Independent Review of the Australian Public Service who provided a keynote address. The event was hosted by Elizabeth Kelly PSM, Deputy Secretary, Department of Industry, Innovation and Science and included a panel discussion with Katherine Jones PSM, Deputy Secretary, Department of Finance, Matt Yannopoulos PSM, Deputy Secretary, Department of Health and Jo Evans, Deputy Secretary, Department of the Environment and Energy. David Thodey AO shared the Panel's prioritites for change, which can be found here. Please note this event is one of a number of consultation activities being undertaken by the Review. You can monitor the review web site for further information, and subscribe to their email updates. 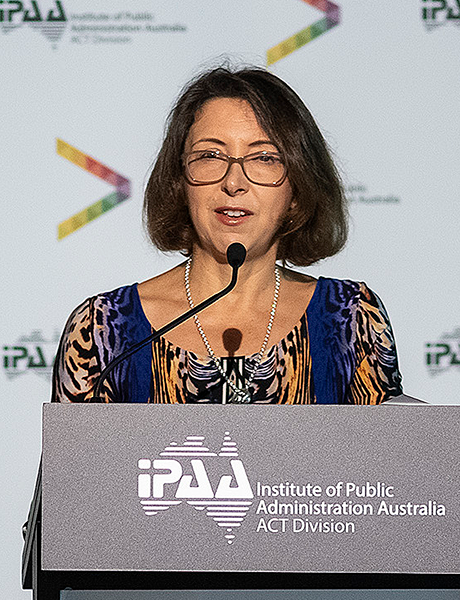 Video - a complete video of the event (61 minutes) is available below or can be viewed on IPAA's Vimeo channel here. Photos - a selection of event photos are provided below, for high resolution copies please contact IPAA.